Tufts professor and Washington Post blogger Daniel Drezner helped kickstart the narrative that Sessions had referred to illegal immigrants as "filth" while delivering a speech before border agents at the U.S.-Mexico border. Drezner took a quote from Sessions' prepared remarks out of context, and released his frustrations on Twitter. But Sessions did not call illegal immigrants filth. As the transcript of his prepared remarks made clear, he was calling Mexican gangs and drug cartels "filth." 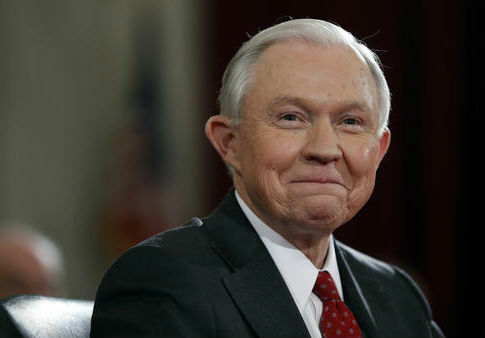 Furthermore, when it was time for Sessions to actually deliver the speech, he omitted the word "filth" entirely. The quote went viral, and was picked up by several liberal outlets. After others pointed out his error, Drezner tweeted out a correction an hour later and apologized. Then Drezner went the extra mile, writing a full apology the next day on his Washington Post Spoiler Alerts blog. "I was wrong about Jeff Sessions," he wrote on Wednesday. Drezner prefaced that he did not support Sessions or his policies. "Yesterday, however, I tweeted something inaccurate about the sitting attorney general. And for that I owe him an apology," Drezner wrote. He explained that he did not plan to delete the initial tweet, because that would make it appear that he was covering up his mistake. "So, full stop, I was wrong, and I apologize to the attorney general for making this mistake. I wish I had caught the error in time to delete the tweet before it went viral. Alas, I did not," Drezner concluded. Unlike Drezner, other liberal journalists have not admitted their mistake. Vox's Matt Yglesias, for example, actually doubled down. In other news, the Attorney-General pledged to rid the nation of the "filth" of Latin American immigrants. This entry was posted in Politics and tagged Daniel Drezner, Jeff Sessions, Matt Yglesias, Media Bias, Washington Post. Bookmark the permalink.